Intragastric balloon devices for management of obesity are cheaper than bariatric surgeries. They also offer a less/noninvasive procedure and are reversible. Nevertheless, their outcome regarding weight loss and resolution of comorbid conditions is satisfactory. Spatz Adjustable Balloon system is available for commercial use in over 32 countries. However, it has not been approved by FDA. 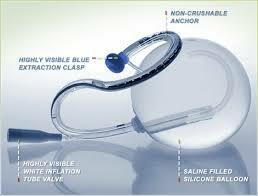 It is the only intragastric balloon device that is being used for up to 12months. It has the advantage of been adjustable i.e. the saline quantity can be adjusted. The price of intragastric balloon varies from one country to the other and even within a country. The total cost usually covers for the insertion, follow up and removal after 12months. Though not available in the US, the cost of Spatz adjustable balloon procedure is about $4,000 to $7,000 outside the US. To get the accurate cost of getting a Spatz adjustable balloon system kindly talk to your doctor. He will, in turn, evaluate you and come up with an exact cost of the procedure. Interested in undergoing Mexico Bariatric Surgery? Fill out the application below to learn more about undergoing the procedure in Tijuana, Mexico.